How to get especially young people in China to open their minds for political propoganda? Everything has changed compared to the older times. Just have a look at BBC`s view on the Topic. …..Among other activities………for example: An animated music video with a foreign band singing in English of course. It became an instant hit on social media with young people talking about it, sharing it and even learning to sing it. There are more such tactics being adopted this year. 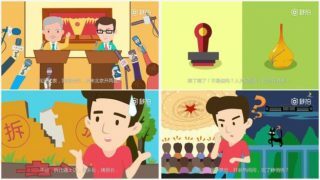 A rap song called “My Two Sessions, My Say”, produced by the People’s Daily, a Communist Party mouthpiece describes the grand scene as delegates of the National People’s Congress and the Political Consultative Conference arrive with their people’s agendas. ….there is even more and quite successful.